Hi, I'm Gena Bolton, and I am a full-time/full-service Realtor®. I am 30+ years happily married with a grown son in the Navy, an active member of my local church, and active in the local community. Buying a home can be one of the most important financial decision most people make during their life. From your first home, which often is the basis for future home buys, to your retirement home, it is important to work with a professional who is committed to representing your best interests. I am 100% dedicated to helping you find your dream home or sell your existing property. I am a local market expert and will tailor my services to meet your individual needs and goals. My commitment to you is to provide the personalized real estate services you deserve. Anything less is a disservice! 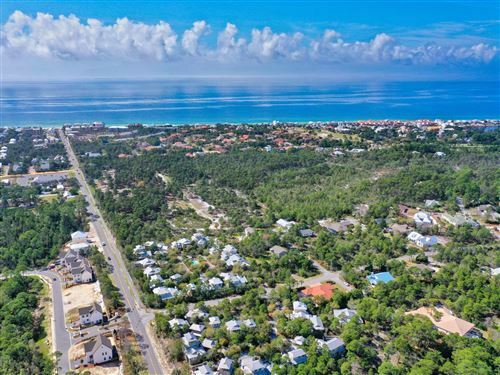 As a free service to you, visit my website to view any homes for sale on 30A, Walton County, and the surrounding Destin communities. Do you want to target a specific price range, home type, or even lot/room size? Want to remove distracters by only seeing homes you can afford? Need an agent who listens, understands, adapts, and acts on your behalf? Need someone who will guide you through every step of your home buying experience? I provide quick results and as your Buyers Representative, can help you make fiscally safe and sound decisions. Because the home buying process is complex, you need an experienced Realtor® on your side. 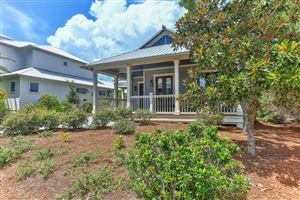 Do you want to preview homes in these communities? Sign up for my FREE Automated MLS updates and have new properties sent directly to your email. According to the National Association of Realtors, 86% of home buyers start their search on the Internet. As a tech savvy company, in addition to traditional marketing (open houses, print media, signs, agent opens, flyers, etc.) I will pro-actively utilize online marketing strategies customized for your property. You need a Realtor® you can trust, works hard to find you a buyer, keeps you informed, and understands and can harness the power of the Internet and social media. Buying or selling, my pledge to you is to provide quality service, ethical standards, and customer service you can rely on. I love being a Realtor®...let me show you how much! We have worked with Gena Bolton for the past two years to find the perfect beachfront property for our family. In all that time, Gena has shown the patience and professional expertise of the highest standards and has been the hardest working real estate representative we have ever come across. We have bought and sold eleven or twelve houses over our working life and with all that experience we've seen the good and the bad of sales persons. Gena is the best of the best. She is extremely knowledgeable about her product, location, values, and negotiating tactics. She has proven time and again, that she has her clients best interests at heart and works diligently to provide the utmost professional information and advice anyone could want. She has saved us a few times from making mistakes, with her wisdom and strong business sense and she has ultimately been correct and successful in promoting the property we had for sale. She is the real estate representative you want on your side......she makes all the difference in the world. We give Gena the highest recommendation for honest, professional, sincere, and hardest working real estate professional you should be using for sale or purchase...she does both extraordinarily !!! It was a pleasure working with Gena she was very helpful showing us properties, answering our questions, and recommending other professionals who assisted in the closing process. 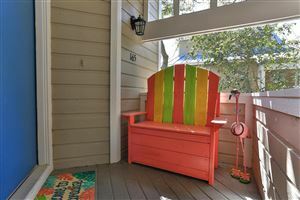 We will happily recommend her to our friends looking for a vacation home in Santa Rosa Beach. These days, when you are buying or selling real estate, you don't just need an agent, you need a partner, and that's what we got in Gena. We simply cannot say enough good things about the participation in our purchase experience, as we really put her through a lot. They have a great website. It's easy to use and informative. And my agent Gena was fantastic. She's knowledgeable, responsive and professional. She always answered my questions and concerns. I'd definitely work with Gena again!!! !